Been lurking, learning, and patiently gathering for some time now. Having started on a few things already, I thought this would be a good time to start up a WIP! I'm going for a desert look, end goal of sniper, but just concentrating on basics to get official. 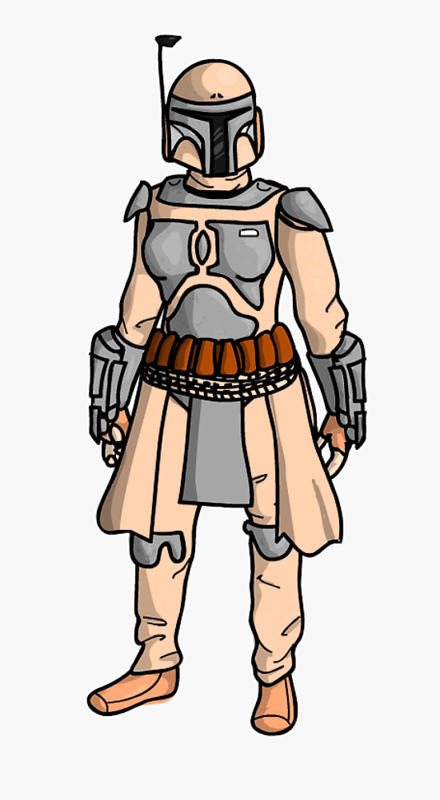 There are a few tweaks I would like, such as markings and knee high spats or leg wraps. Thinking a bit of a poncho style cape, but not sure yet. Anyways, I'm excited to finally get started! It looks fantastic! I am also going for the desert look, but with a different era and specialty. It seems like you've got a solid idea of where you want your kit to end up. I'm eager to watch this evolve. Nice concept can’t wait to see more from you! Welcome to the no-longer-lurking side of things! It's so important to have a vision of what you want to do, and the dessert idea is awesome. I can't wait to see this come to life! 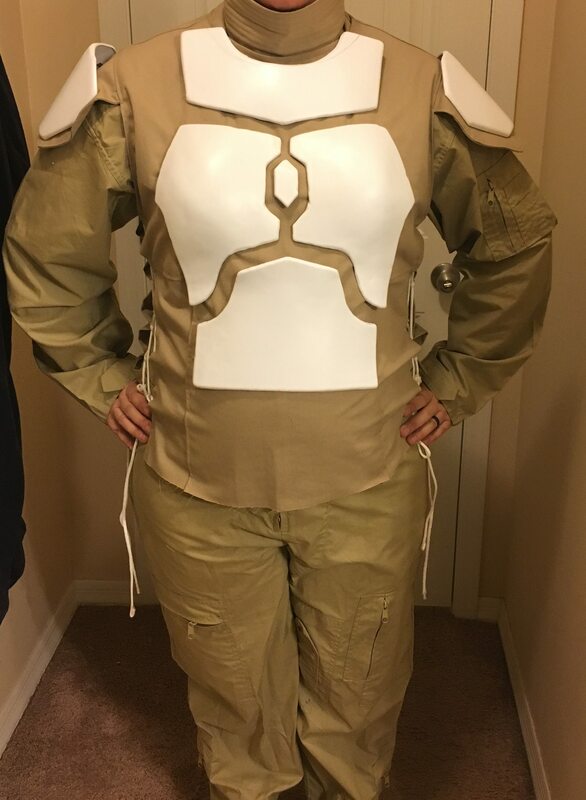 My flight suit came in, and mostly finished my vest/neck seal! (Yes yes, I know, please do not mind zippers and pockets and all that, I have not cleaned up flight suit yet!! ). So wanted to do a rough placement of plates to see how it looks. 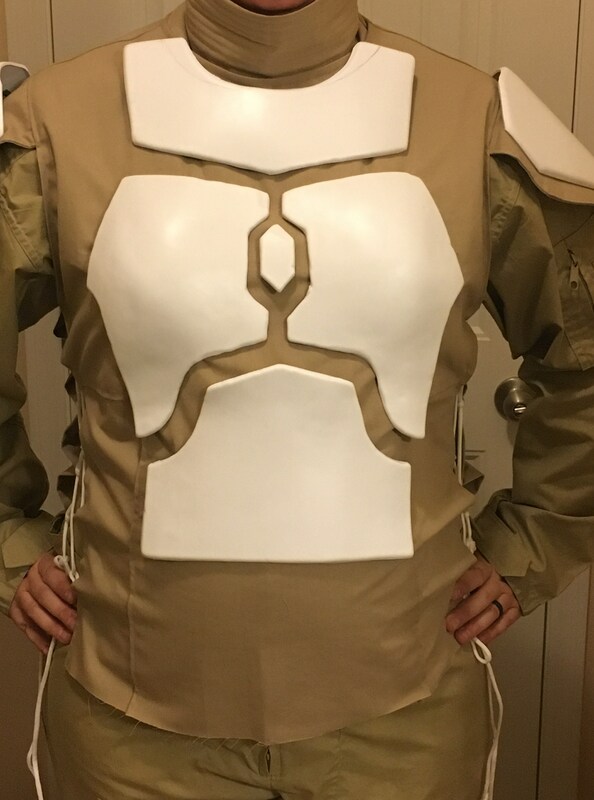 Im not sure, but the collar plate seems to look small? It is balance compared to the chest plates though. 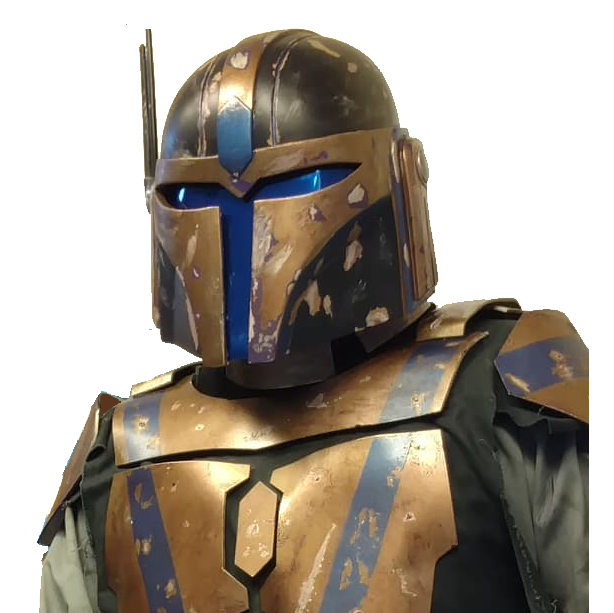 (Armor from Mandalorian Arsenal). I wanted to trim it along the neck to follow the edge of the vest. 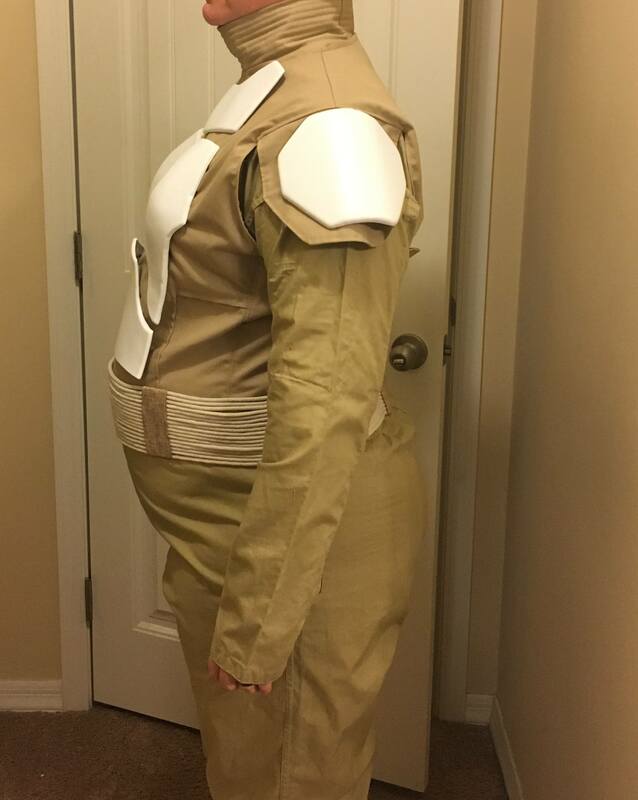 I also think I need to make the bottom of the vest a bit shorter. 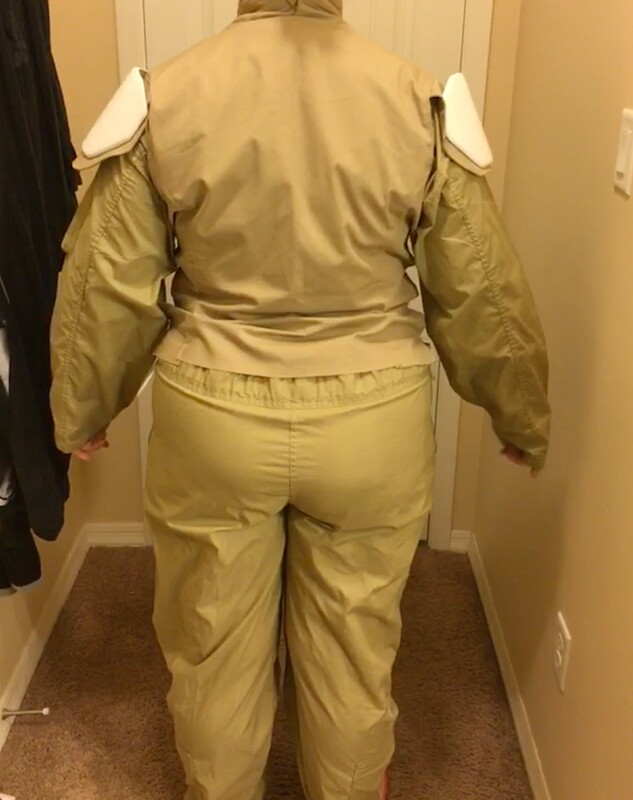 Flight suit needs some shaping as well, arms are rather baggy. The size of the collar looks fine, a small trim to follow the neckline would help. The ab plate could do with about an inch taking off the bottom as it is far too long. 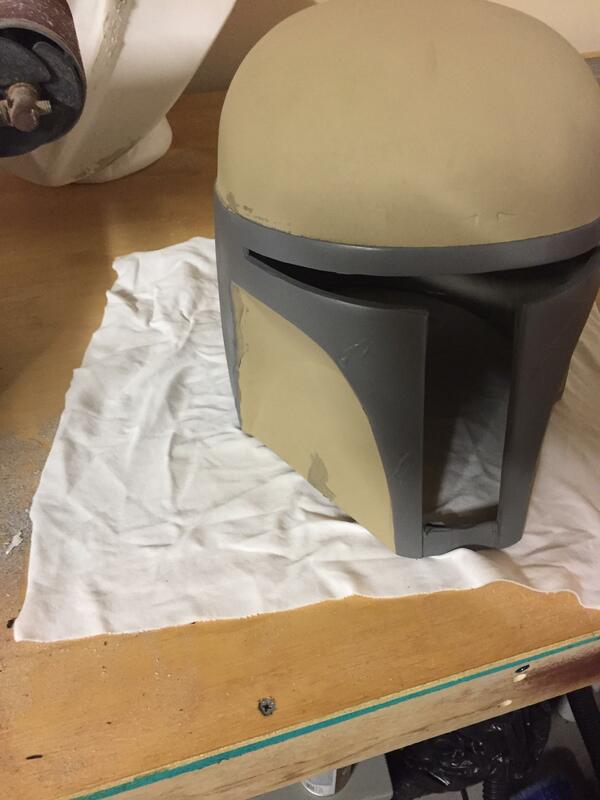 As long as the vest doesn't poke out from under the waist items that length is fine (Jango's vest is built like this) or you can trim it to just below the ab plate (Boba style). 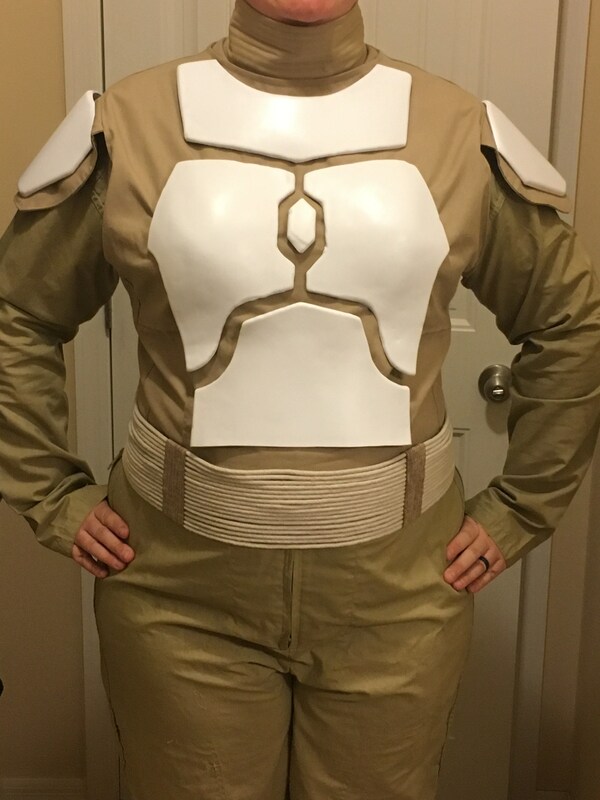 Soooo...it has been a busy holiday but finally have a chance to post some updates! 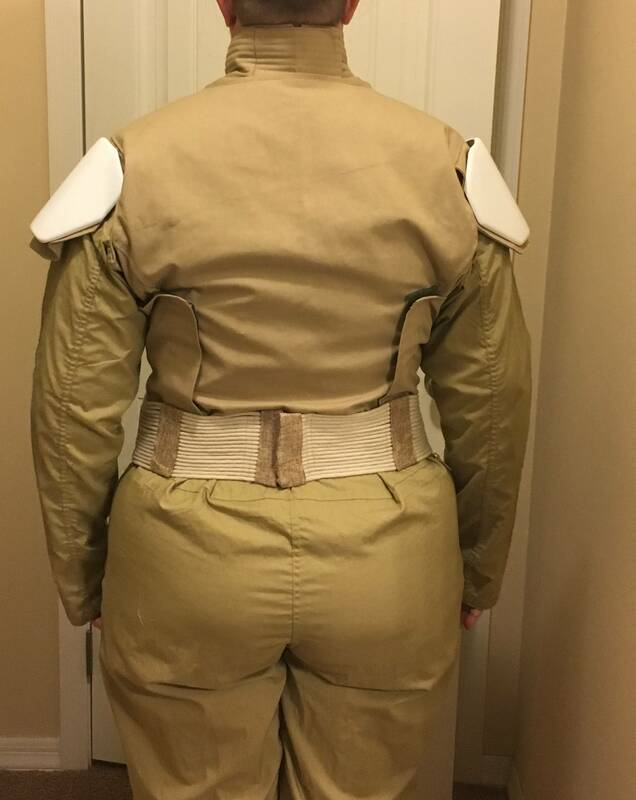 Corrected the fit on the neck seal; shortened and changed the style of closure on the arming vest; Flight suit is free of pockets and fitted a bit more snuggly on arms/lower back; Collar plate has been trimmed to follow neckline, and trimmed bout 3/4 inch off the bottom of ab plate; Made a girth belt! Only thing I might suggest is just adding a very subtle curve to the bottom of the ab plate to mirror how the girth sits - I found that the outer corners of my ab occasionally caught on my girth till I just gave it the tiniest bit of curve. I reject your canon, and substitute my own. Just out of curiosity from your concept art, are you plates going to be grey, or plain metal? I think a plain steel look would look awesome for your desert theme. "Can your science explain the magic of rainbows?" "Light defraction through moisture in the atmosphere." "... It's a sad world you live in." Thank you for the tip! I will definitely make that adjustment! Thank you! 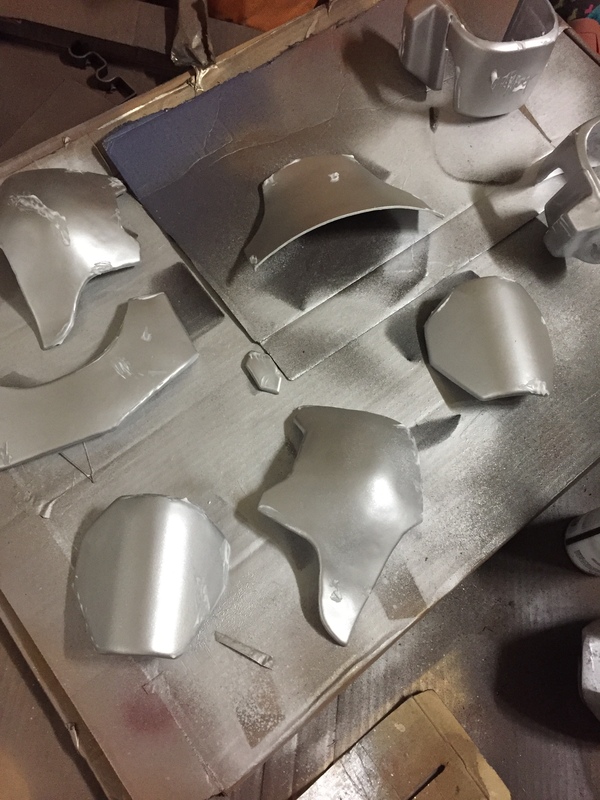 I am going with the flat grey vs metalic. My thoughts are, shiny bits and wide open spaces are not so good for the element of surprise, but wanted some color to break up the different tones of brown. I came up with the grey when walking out behind my work one day saw how some larger rocks were a slate/charcoal over the tan/brown sand and smaller rocks. It was a unique combination that I really like! This is coming along nicely. Great progress, vod. and soft parts continued! 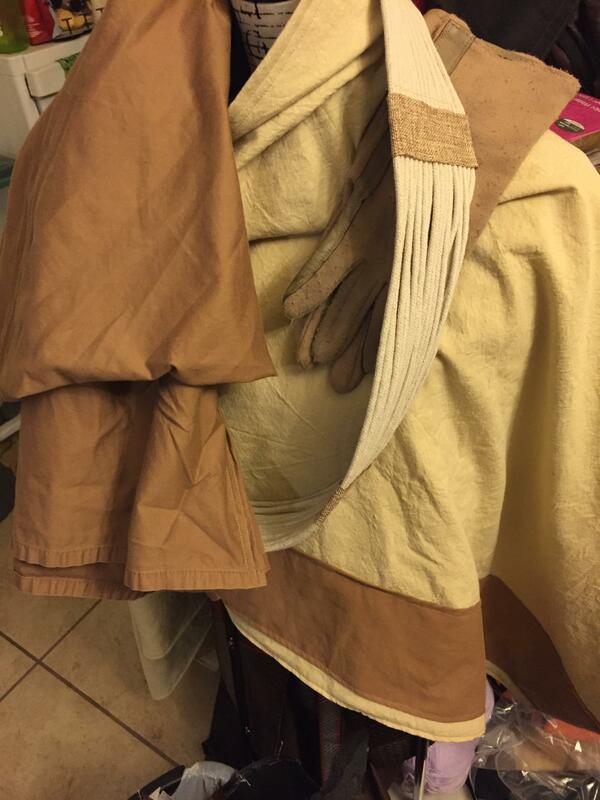 Poncho style cape and sash made, gloves found. Woohoo! Painting is the most fun part. For me, anyway. Keep it up, vod! You're doing great.